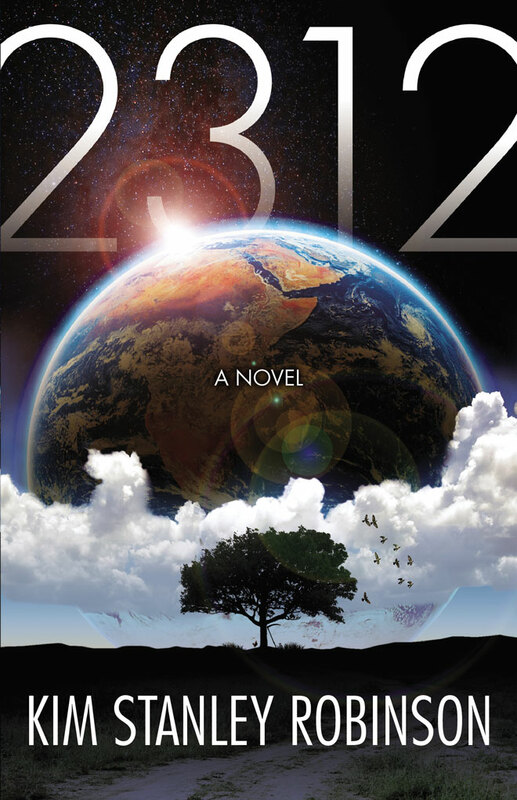 Although I'm only halfway through it, I am really loving Kim Stanley Robinson's latest science fiction novel, 2312. It's an impressively detailed work that imagines human civilization expanding to nearly the entire solar system over the next 300 years (with Earth itself still suffering a lot of problems stemming from climate change and other factors). There's a city called Terminator on slowly-rotating Mercury (the city itself rides on huge rails in sync with the rotation to stay just at the edge of the transition between the dark side and the deadly sun-lit side of the planet, propelled by solar-heating expansion of the rails!). There are some 19,000 inhabited "terrariums" which are hollowed-out asteroids that rotate to create artificial G. Many different climates, biomes, and social systems are implemented in these asteroid worlds, some of which are in orbits that take them across huge distances in the solar system. 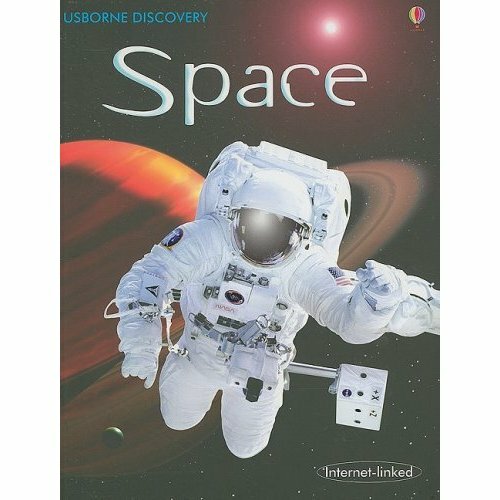 So to transfer from Earth to a moon of Saturn, you would first ride a space elevator to orbit, and then take a shuttle that would transfer you to a suitable Saturn-bound asteroid world. Instead of spending weeks in a cramped spacecraft, you might spend those weeks in a 1G beach resort, or in an endangered animal preserve, or in an agricultural world growing food for export to Earth, or even in a low-G "flying world" where you might live something like a bird. Hundreds to thousands of people live in each of these small worlds. There are a lot of powerful technologies assumed to exist, starting with fusion power, space elevators, self-reproducing assemblers, and quantum computers (personal versions are called qubes). But there is no magic here. While it's not inevitable that these technologies will become practical or widespread, they are physically possible. As usual (from having read Red Mars and Green Mars), KSR is at least as interested in social possibilities as he is in technical ones. And there are some weird ones in 2312. There's also a mystery and a love story or two buried in this book. It's also interesting what a writer like Robinson can do with a very specialized piece of science - such as the braided or perhaps kinked F-ring system of Saturn (pictured above). Doesn't that look sort of wave-like? And where there are waves, surely you will have surfers, right? Some residents of the cities on Saturn's moons like to fly to one of the "shepherd moons" that give the F-ring its gravity-sculpted structure, and from there, they have figured out how to surf these narrow waves made of ice blocks! Yes, they wear spacesuits with thruster rockets, and they surf the F-ring. He even makes it sound sort of plausible. This is shown in one incidental scene between two of the main characters, Swan and Wahrom. A funny thing about Swan: She is from Mercury, and she is an impulsive risk taker who has tried all sorts of bizarre things in her young 110 year life (most "spacers" live to around 200, with periodic DNA repair and other longevity treatments). She is really a wild character, an artist whose whole life seems to be a sort of over-the-top performance art. Just when I started reading about Swan, I happened to start listening to the new Fiona Apple album, and I watched her bizarre video for "Every Single Night." From this coincidence, Swan and Fiona have fused in my mind. So I picture Fiona when I read about Swan's latest odd adventure. 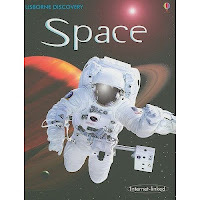 Although some reviewers are bothered by certain devices that KSR uses in this book, such as lists and excerpts of supposedly technical or historical documents (from the future), I think these brief inter-chapter devices allow KSR to fill in the back story and set the many scenes in a relatively compact way so he can cover the whole solar system and multiple characters and story lines without drowning the reader in too much detail (it's about 570 printed pages, though I am reading it on Kindle myself). Highly recommended if you like imaginative hard SF. There's a cool interview with Robinson from June 2012 here. I was thinking about the fact that I spent quite a few hours reviewing my very rusty (30+ years old) university Russian language skills before my recent trip to St. Petersburg. I have even continued to spend a little time on it since I got back. Why? I probably won't spend much time in Russia in the near future, and even if I do, I could probably get by just fine with English, as most tourists do. There's very little chance of achieving fluency or even minimal competence at this point in my life, though I'm confident that I could do it if by some bizarre circumstances I ended up living in Russia for a while (I feel the same way about French and Japanese). Was it worth the effort for just a few brief interactions in Russian? Oddly enough, yes, and I figured out the reason. For me, languages are toys or puzzles, fun to play around with in themselves.Consider if the first person on the Moon had been Russian, and he or she had said the same thing that Neil Armstrong had said with his first step, but in Russian. According to Google Translate, that would have been это один маленький шаг для человека, но гигантский скачок для всего человечества. Now anyone can do that with Google, but since I can still read Russian and understand a bit about the grammar, I can see that this is a plausible translation. I can also speculate that the well-known confusion about Neil's statement (did he say one small step for man, or for a man?) would likely not have happened in Russian, since для человека "dlya chelovyeka" (for person) and человечества "chelovechestva" (mankind) are quite distinct, while "man" (with no a) and "mankind" are roughly synonyms. Russian also doesn't have articles (a vs. the), but the forms (cases) of nouns usually make the meaning clear. I consider that sort of thing entertaining enough to buy books on subjects that interest me in other languages, as a stimulus to learn more of these odd bits. I don't buy as many as I used to do in French and Japanese, and I tend to buy children's books, since I am not very advanced. 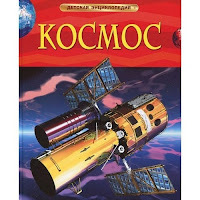 I found one cool one in St. Petersburg, a children's book called simply космос ("kosmos," space). 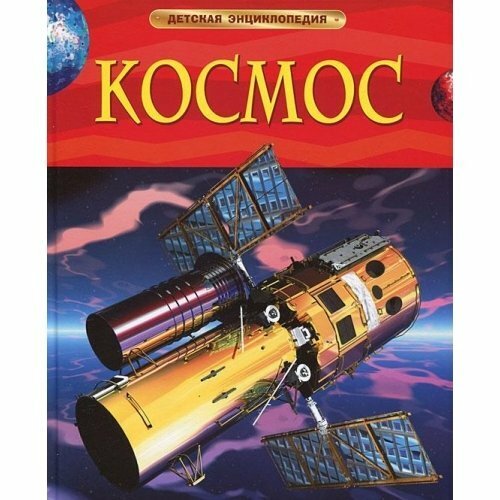 I was disappointed that I couldn't find such a book with more focus on Russian spaceflight (it's a translation of a British book). But this turned out to be useful, since I was able to buy a cheap used copy of the English version on Amazon, greatly helping my study efforts. Once a nerd, always a nerd? Yup. Cool video from SpaceX with highlights of the recent successful flight of their Dragon spacecraft (unmanned cargo version) to the International Space Station. This happened in late May when I was in Europe, so I didn't follow the mission at the time, but it's a great milestone for private space. Fiona Apple's new album has an odd name (The Idler Wheel Is Wiser Than the Driver of the Screw and Whipping Cords Will Serve You More Than Ropes Will Ever Do, a.k.a. "Idler Wheel"). The music and lyrics are even odder. And the video for "Every Single Night" is perhaps oddest of all. Definitely hallucinatory stuff (see above). But I can't stop listening to it. It has really grabbed me like very little of her previous work. It is powerful, strange, raw, intimate, and somehow very real feeling. Wow. Her songwriting blows me away. She writes some amazing and disturbing lyrics, with incredible imagery, and her piano playing and use of percussion can be almost hypnotic. The feeling is, you know, it is really exhilarating, it's like some kind of serotonin rush in your brain, you know, and you really feel great, and you want to go on and do it again, and again, and again. Later on you'll probably change your mind about it, about how well you succeeded. But at the moment that you finish and you're satisfied or you're more than satisfied, that's an extraordinary feeling, and that feeling is so powerful, that it makes you willing to go through the process and the frustration of trying to write again, write anew each time, just to get to that feeling, because there's a lot of frustration before you get there. But the feeling is good, and the act of creation is very pleasurable on a physical level. Excerpt from "The Songwriting Process," an interview segment included with the album "iTunes Originals - Paul Simon." This interview segment came up in iTunes the other morning, and I hadn't heard it for a while. Paul Simon is one of my favorite songwriters and has always been an inspiration to me as a writer. It hit me that while I don't otherwise have much in common with him as a songwriter or performer, I have also experienced "some kind of serotonin rush" in my brain when I have completed a song or a recording, or even when I have created an interesting riff or fragment and saved it as a rough recording on the Voice Memo app on the iPod Touch. The act of creation is indeed very pleasurable, even if it doesn't lead to a successful or even a complete song or recording. It certainly leads to trying to write more songs (and to starting many more than you finish - at least that's my experience). This struck me as a really cool explanation for why I do a lot of things. It's pleasurable to solve problems. It's pleasurable to experience new things. It's pleasurable to read a book and find out how it ends. It's pleasurable to read a book or watch a movie that you really enjoyed the first time again, even though you know how it ends. There are lots of pleasurable things (or maybe not, if this is true, which I think it is - as Fiona Apple replied to a guy in her song "Paper Bag" who said "It's all in your head" -- "so's everything!"). Even finishing a blog post gives some kind of serotonin rush, albeit a very tiny one (judging from my recent low rate of repeating this behavior). I have long been fascinated with Russia. I even took four semesters of Russian in college (back in the mid-seventies - almost all forgotten except for reading and writing the Cyrillic alphabet). 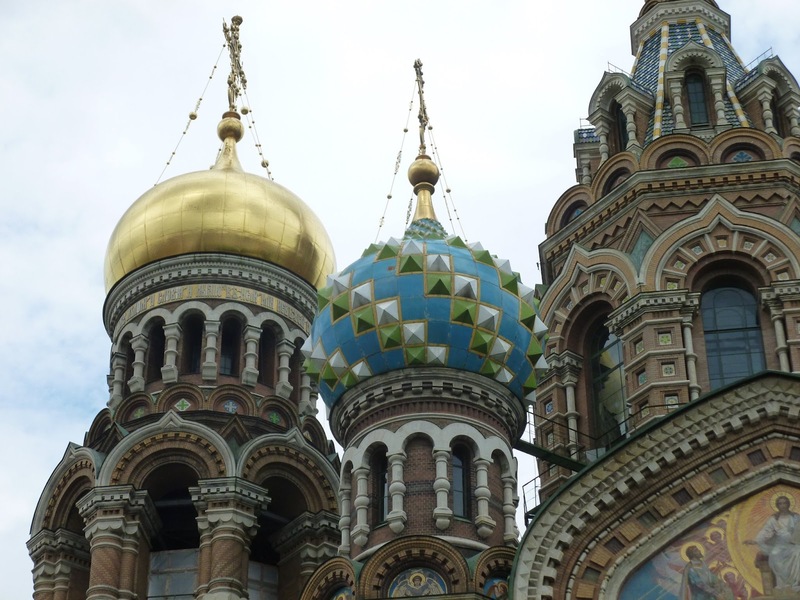 But I never made a trip to Russia until earlier this month, when I attended an optics conference in St. Petersburg. I naturally added a few days to the trip for some sightseeing. St. Petersburg really is a fantastic city, and I was fortunate enough to have excellent (hot) weather and "white nights" for the whole week I was there. Everything was great. Here are a few highlights. 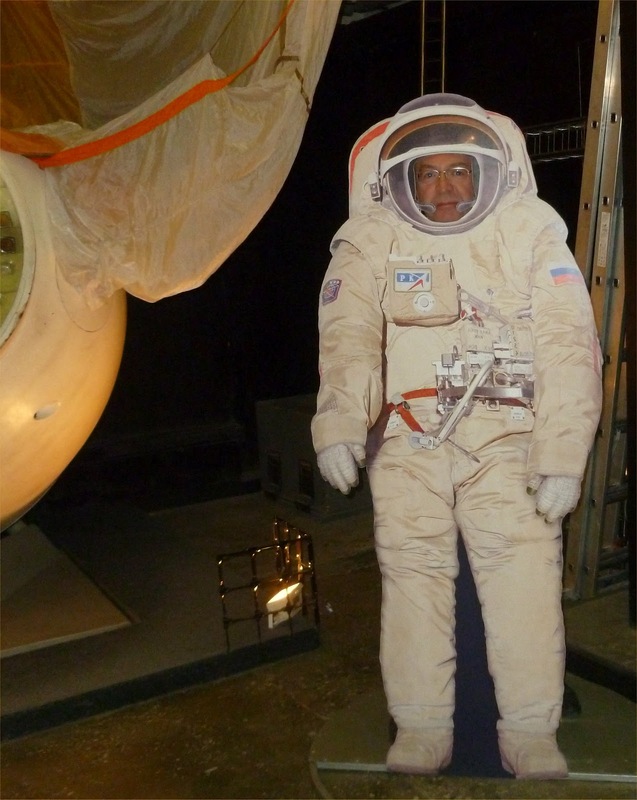 Space Museum - There was a small space museum on Peter & Paul island with a lot of interesting artifacts of the Russian space program. I used my small amount of Russian to chat briefly with a guard (I was the only one in the museum - all sensible people were out on the beach). We couldn't discuss much but it was fun. And he took my picture. Helicopter tour - The space museum was inside Peter and Paul Fortress on the small island where Peter the Great established the city. I didn't know there were helicopter tours, but when I saw and heard the low-flying MiL Mi-8's, I figured it out. It cost 3,000 rubles (about $90) for a 14 minute flight on the 16 passenger Soviet-era helicopter, but it was awesome. Check out my YouTube video here and here (YouTube smoothed the vibration-induced shakiness, but this caused my captions to get all jittery - oh well). Subways - The St. Petersburg metro system is excellent. Built mostly during the Soviet era, the tunnels are bored through bedrock 75 to 100 meters deep (they also served as very deep bomb shelters during the Cold War). 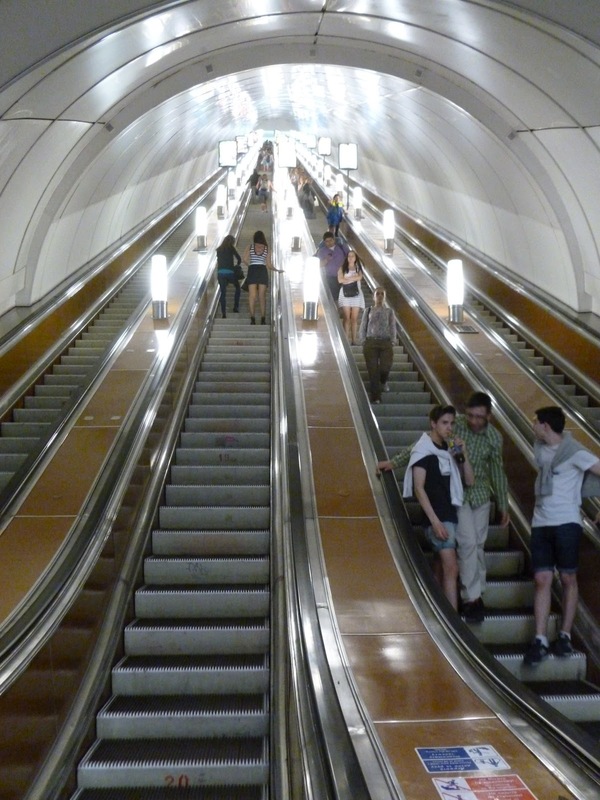 The escalators are VERY long. 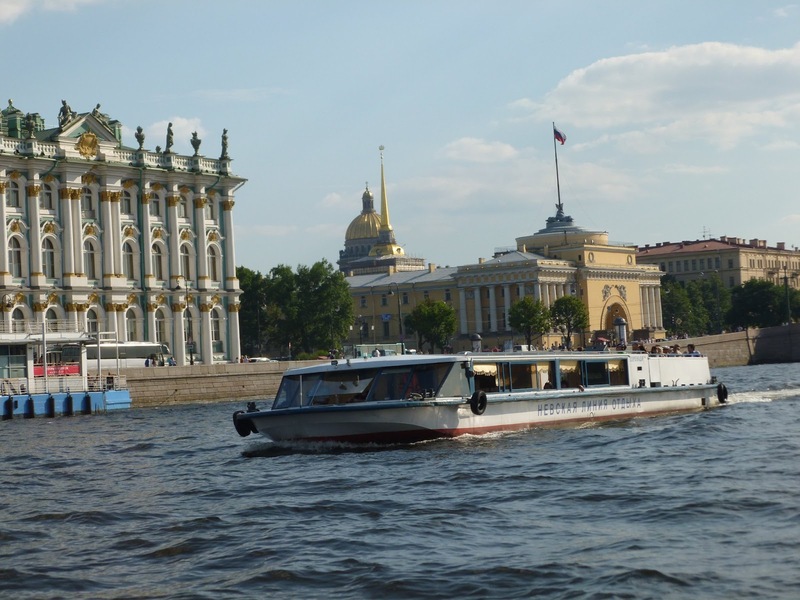 Boat Tour - There are many boat tours on the Neva River and through the many canals of St. Petersburg, "the Venice of the North." The hour tour took 20 minutes more due to tourist boat traffic jams. Although the river portion was great, the canal part of my tour was not the best in terms of passing close to major sights. Check the route before you book one. The Hermitage - I spent about five hours walking the many rooms of the immense Hermitage, perhaps the best art museum in the world. Simply awe-inspiring. I used a wonderful and free iPhone guide app on my iPod Touch to navigate. I later bought inexpensive virtual tour upgrades to this app. It's really great (especially on the iPad, even though it's only an iPhone app). I took a lot of pictures too (you can pay extra to allow this). 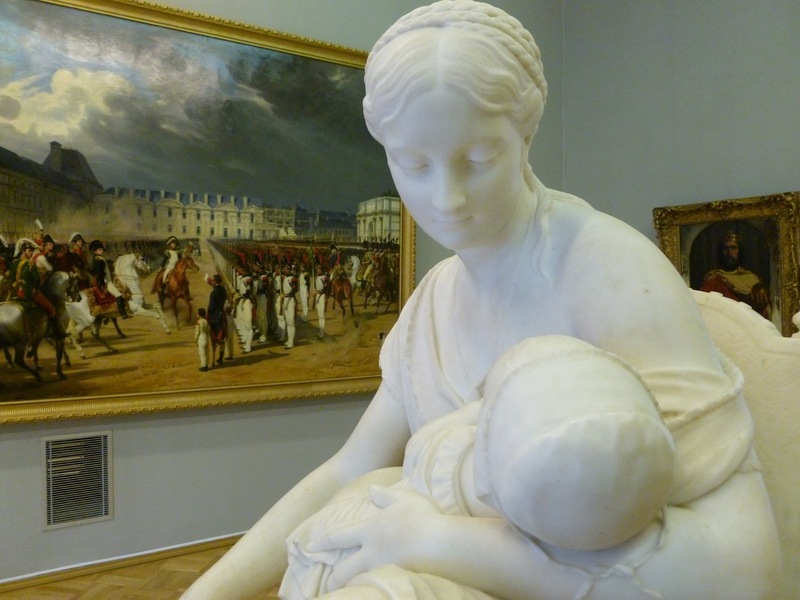 A tiny piece of the Hermitage can be seen on the left in the photo above and in one of the many rooms below. There was much more. Interesting people. Great borscht. The Swan Lake ballet. Lots of Russian signs to practice reading. Beautiful parks, gardens, and churches. I really want to go back.